← What is a flood? “Beaver Shot” by Paul Stevenson is licensed under Creative Commons Attribution 2.0. My first research projects were on logjams, looking at their abundance, distribution, form and function. These logjams were naturally occurring as a result of wood being “recruited” to the channel via wind throw or overbank transport. However ever since I started to do research on logjams there has been the spectre of beavers and their lodges looming over me. Rather oddly, wherever I gave a conference presentation on logjams the questions afterwards would inevitably contain a very open ended question along the lines “what about beavers?” It got to the point where it became a bit of a standing joke and if it hadn’t been asked after a few questions, one of my friends in the audience would helpfully supply a beaver related question. To date I haven’t done any research on beavers, but motivated by trying to provide better answers to the tangential conference questions, and out of curiosity, I’ve read a fair bit on the subject. Beaver are often mentioned in discussions of river restoration or natural flood risk management (NFM). 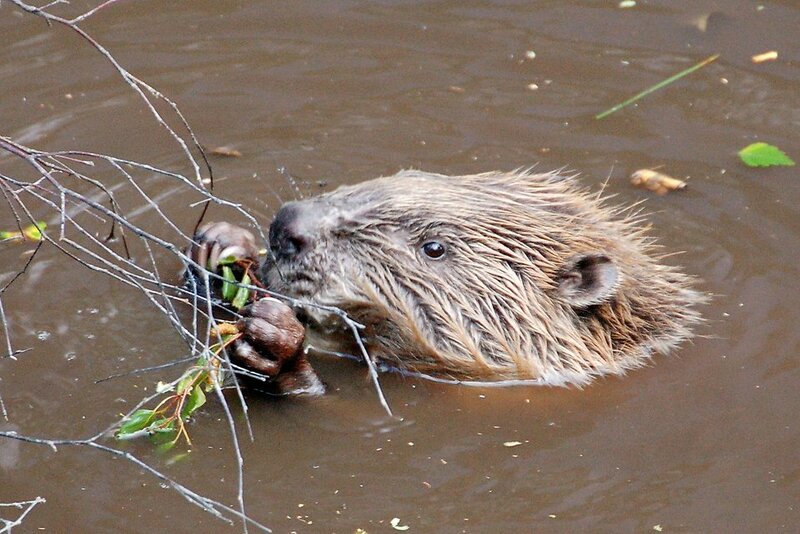 In the UK there are currently controlled reintroduction projects and limited “wild” beavers. I’ve come to realise through conversations on twitter that beavers and river restoration/flood management is a subject where the scientific thinking is quite different to general assumptions about their behaviour and potential to be a part of NFM. 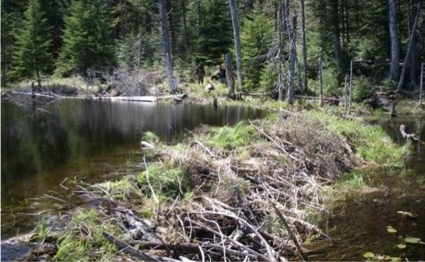 “Enthusiasm surrounding simplicity and cost-effectiveness of beaver may lead to unrealistic expectations about beaver’s ability to restore streams, and, in particular, restore channel-floodplain connectivity”. The paper; “Modelling the capacity of riverscapes to support beaver dams“, uses a model to predict where beaver may build dams (and where they won’t) and validates this against the locations of nearly 3000 observed dams in Utah. What this study shows is that the presence of suitable riparian vegetation near to the river bank is a fundamental control on dam building. In the US this is Aspen, Willow, Cottonwood and Alder trees. Put simply if these trees aren’t growing (fairly abundantly) within 30m of the river bank it is fairly unlikely beavers will build a dam, even if all other conditions are optimal. 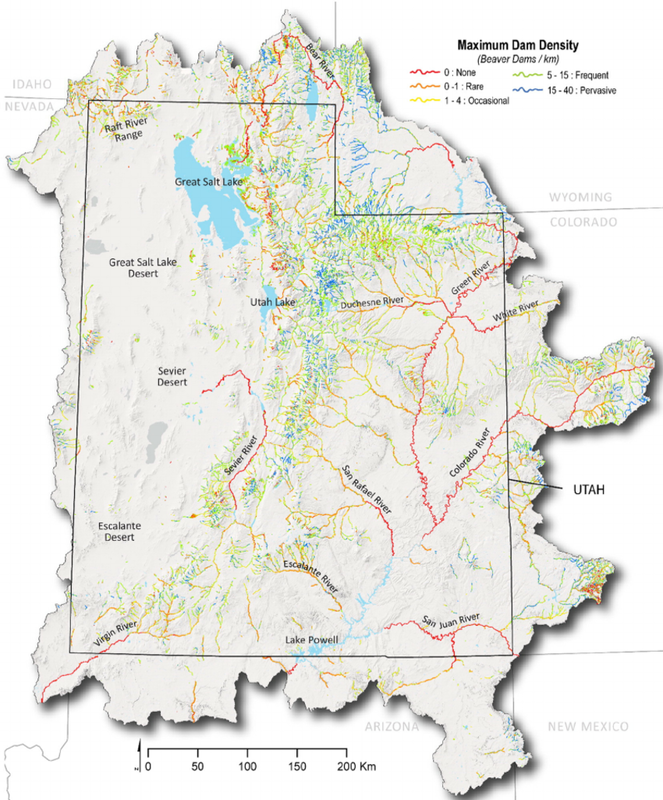 When looking at their validation data, particularly where they found real world dam abundance was lower than the model suggests could be supported, they attribute this partly to a history of livestock grazing suppressing woody riparian vegetation and I understand the authors have developed a model to explore this aspect in more detail. The other important secondary controls are a flow regime which sits in a “goldilocks zone”, in which the base flows are low enough that dams can be constructed, but where flood flows are not so large they destroy dams, and in which additionally the channel gradient is neither so low that dam density is limited, but not so high that stream power precludes dam building and/or persistence in floods. Finally the river needs to be sufficiently small (in width) for the beaver to be able to construct channel spanning structures. Figure 7 from the paper showing predicted beaver dam abundance. 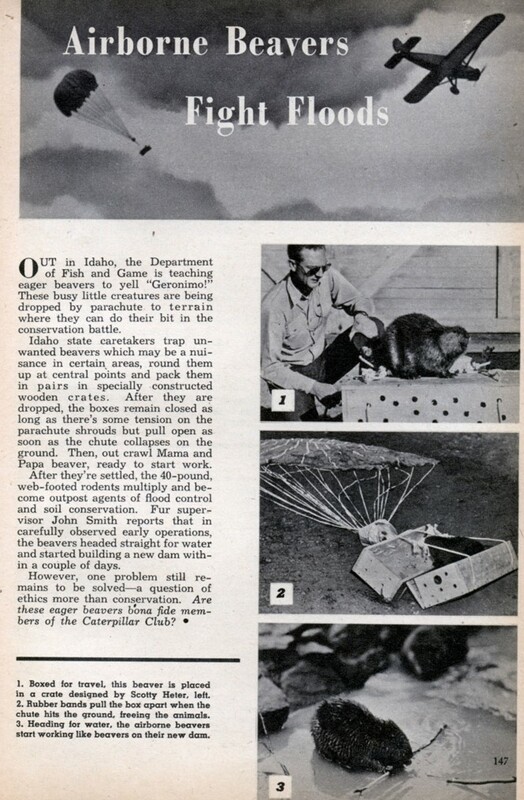 The model predictions show that ecological, hydrological and geomorphological constraints restrict the actual (and potential) locations for beaver dams in Utah. These principles and findings are important in a UK context. Many lowland rivers have only sparse woody riparian vegetation, and many of the upland streams which do flow through forest may be too steep to support beaver colonies. It is true that beaver could have a really important role to play in flood mitigation, but fundamentally beaver are a tool for managing riparian forests and so a precursor to any strategy which seeks to use beaver would need to be riparian forest planting/restoration/protection. This is just a hunch, not supporting by analysis, but I suspect vast tracts of the UK river network would be currently “tree limited” with respect to sustaining beaver colonies. Applying the methodology of this paper to (parts of) the UK would be a valuable step in understanding which catchments in the UK could currently support beaver, and, by implication, this would also predict where they would go/not go if more widely reintroduced. With slight modifications to the modelling approach it would also be possible to predict where could support beaver colonies if it had the right riparian vegetation. These two steps together could then help to inform river managers in the UK as to where might be suitable sites to undertake beaver driven flood mitigation. Beaver could be a valuable part of future flood mitigation, but currently they are not the panacea they are sometimes put forward as. If the UK seeks to use a fundamentally wood driven tool as part of flood mitigation it will need the riparian trees to support this. This entry was posted in Ecology, Flooding, Geomorphology, Hydrology, paper review, River Management, River restoration and tagged beaver, ecology, flood risk, flooding, fluvial geomorphology, hydromorphology, restoration techniques, river restoration. Bookmark the permalink.